CBEC – Crest Test Systems Pvt. Ltd. Endurance testing involves operating – closing and opening – the circuit breaker repeatedly for a set number of cycles. This test is necessary to stabilize the circuit breaker mechanism and to identify “Early Infant Mortality” failures in the switchgear assembly. 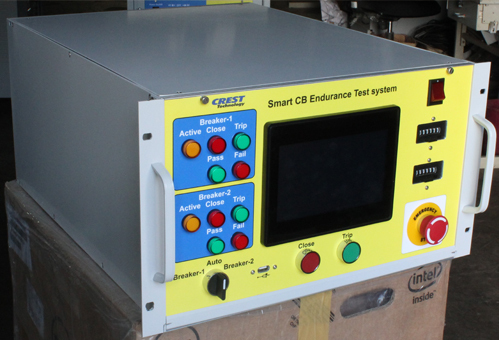 CBEC Circuit Breaker Endurance Tester performs multicycle mechanical endurance on all types of switchgear. 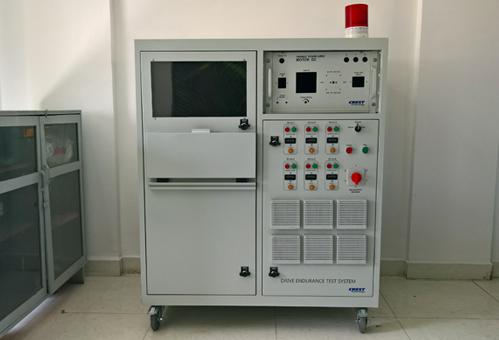 It consists of an Endurance Controller through which the test cycles can be programmed. Built-in AC and DC power supplies for energizing coils and motors can be provided as an option. Facility for connecting multiple breakers/drives at a time can also be provided. 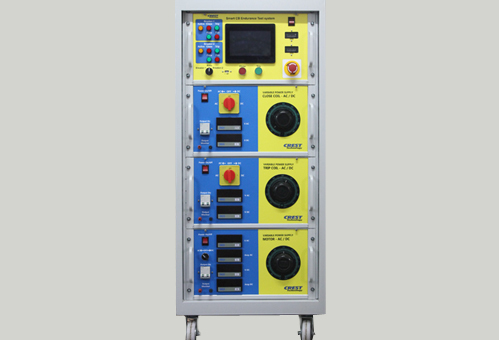 The tester is capable of performing endurance tests on circuit breakers at rated, minimum, and maximum voltage levels. Our new range of smart endurance controllers are PLC-based and have a touchscreen HMI for running the test control software.